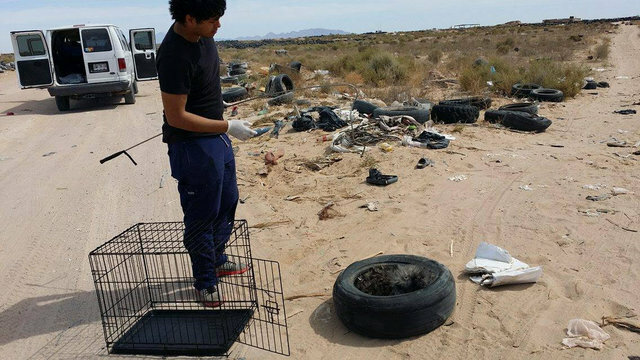 You have to really be aware of your surroundings – like this man who was driving past a landfill Puerto Penasco, Mexico when he saw something odd inside an old tire. 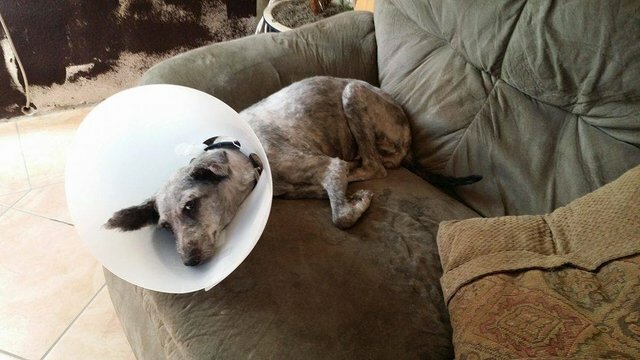 At first, he wasn’t sure what it was, but it was moving. 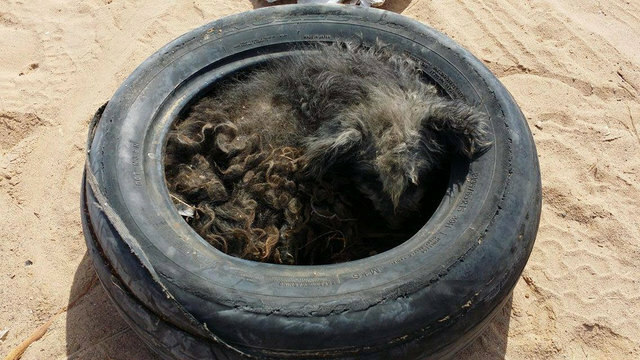 He moved in closer and saw that there was a very sick and thin dog laying in the discarded tire. 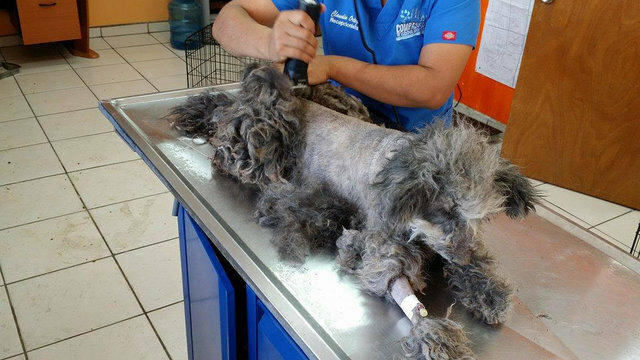 The man quickly made a call to Claudia Ortega, the manager of an animal hospital with ties to the organization Compassion Without Borders (CWOB). 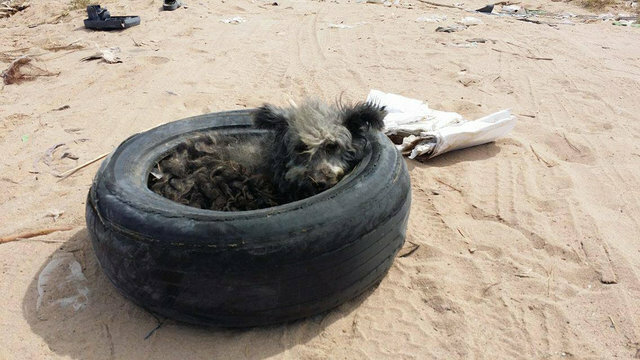 Christi Camblor, the founder of CWOB, said that the dog was using the tire as shelter and had probably been living out at the landfill for months or even years! 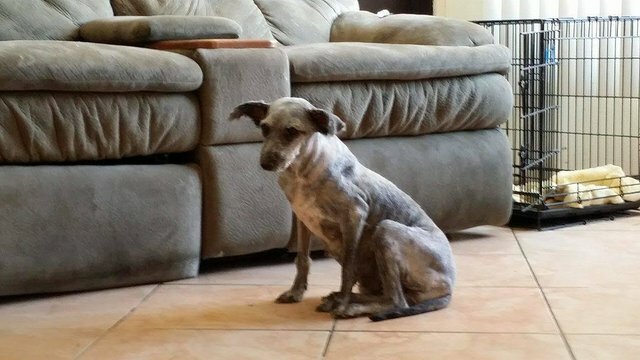 The dog was dubbed Yoko, was estimated to be eight years old. 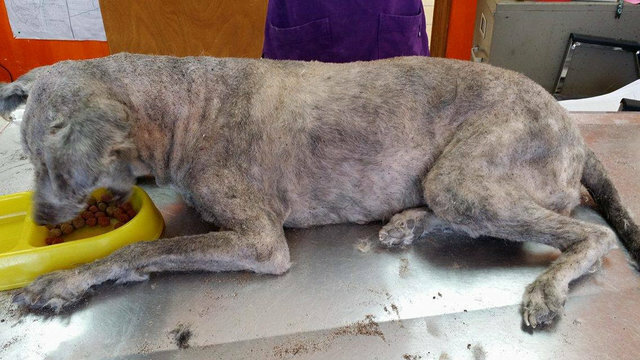 Yoko was taken to CWOB for a full exam and a complete shave!